We’ve all dealt with clogged drains, and it often seems like nothing will prevent them from returning. You’ve probably tried everything from pouring scalding hot water down your drains to using commercial products, but the temporary relief these methods provide isn’t worth all the time, money and effort. The good news is there are longer-term solutions for your home’s clogged drains. When you combine these proven methods with regular maintenance, you can actually prevent clogs from coming back. Due to their popularity, we’d be remiss if we didn’t mention chemical gel cleaners. Products such as Drain-O might sound like the ideal option, but don’t get fooled. At best, these cleaners offer a temporary solution – and sometimes they don’t work at all. At worst, they can actually cause a long list of other problems that are much worse than a clogged drain. Pipe Damage: Chemical gel cleaners can seriously damage metal pipes, and there have also been instances of PVC pipe damage. Health Dangers: You’ll have to keep a close eye on drain cleaners; they’re toxic if ingested and can cause skin, eye and mucus membrane burns. Explosive: The noxious fumes that are emitted by these cleaners can cause an explosion if the product is improperly handled. Septic System Issues: Believe it or not, your septic system benefits from certain types of bacteria. Gel cleaners destroy that bacteria, which harms your entire septic system. Fixture Damage: The toxic chemicals in a gel cleaner can permanently mar the surface of your sink fixtures. When stubborn clogs refuse to budge, it’s time to turn to a drain snake. Also known as a plumber’s snake, these flexible, slender augers come in a variety of styles to suit the needs of every drain in your house. The process of snaking a drain isn’t very difficult. The snake is inserted into the drain in question and constantly rotated. This shreds most larger obstacles and can also snag hair and other small impediments. After the snake is removed, the normal drainage flow should return. Human Safety: Steer clear of toxic chemicals with a drain snake. Pipe Safety: Avoid damaging your pipes by not putting a caustic substance into them. Proven Method: Plumbers and homeowners have been successfully using drain snakes to clear clogs since the early 1900s. Many people prefer to take a DIY approach whenever possible. There’s nothing wrong with this mindset, but you need to recognize when it becomes necessary to call a professional. After all, plumbers know exactly how to identify and correct issues with your drains, so you’ll be able to skip all the guesswork (and a number of the failed DIY attempts) and go straight to a viable solution. One of the biggest perks of working with a local plumber is a plumber has specialized knowledge about common plumbing issues in your area. For instance, your neighborhood might be known for having old pipes or troublesome roots. Maybe your home in particular has an underlying problem that’s causing repeated clogs or drainage issues. Most homeowners won’t have any idea what type of plumbing problems have plagued their neighbors, but an experienced local plumber should have a strong handle on your most likely repair needs before they even arrive. In situations where this isn’t the case, they’ll still be better equipped to quickly assess and diagnose the problem. Save Time: Although you might have to wait for an appointment, you won’t have to spend your time trying to unclog the drain. 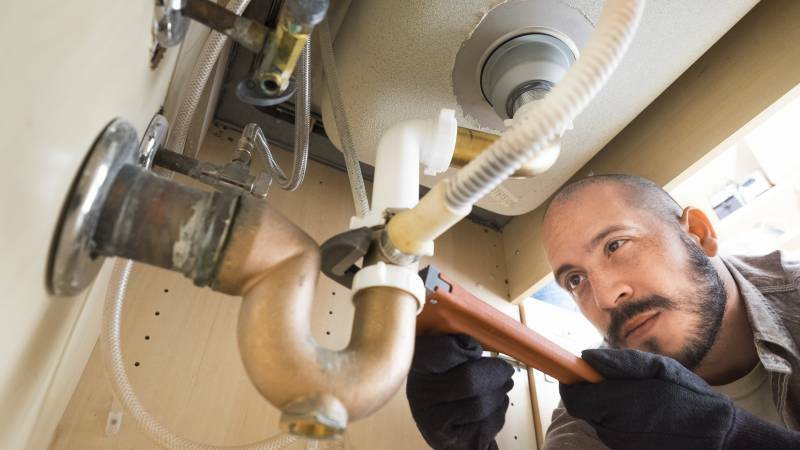 Plumbing Expertise: If you’re not 100 percent confident that you know what the problem is and how to fix it, then it’s best to let an expert take over. Access to Tools: Do you own a drain snake or a plumbing camera? These are tools of the trade that a plumber will have, which prevents you from having to purchase them. Reduced Damage Risk: A professional plumber knows how to properly use the necessary tools without damaging your pipes. Save Money: When you try to unclog your drain yourself, you’re likely to spend money on multiple products and “quick fix” temporary solutions. Save yourself the price of buying multiple tools and let a plumber do the job all at once for a small fee. Now that you have a better understanding of what to do, and what not to do, it’s time to decide whether to go the DIY route or call a plumber. We encourage you to do some more research to help you make the best possible choice for your specific situation. Keep in mind that clogs will never magically fix themselves. Therefore, it’s wise to educate yourself, but make sure you also take action quickly to avoid major backups and unpleasant odors. If you’re facing a clogged drain and need a plumber, start a search today.